An unusual Victorian bread platter. This would have been for serving bread rather than the more typically shaped boards which are for cutting the bread. This is because the centre of the piece is dished rather than raised. This platter dates from c.1880 and it is exceptionally well carved. The border is deeply carved with a large flower, and ears of wheat. 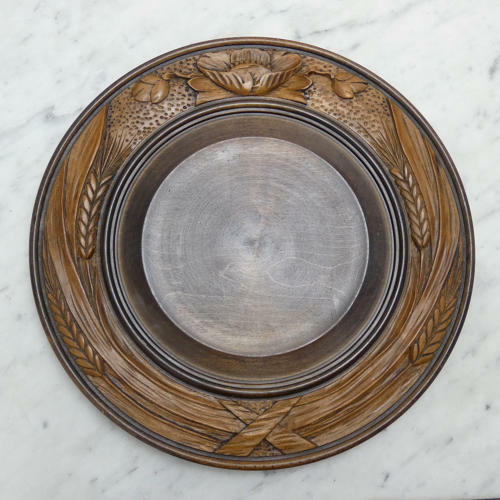 The platter has seen very little use and the carving is still in excellent condition, with very little wear. The piece is in very good condition.